This was a huge undertaking for somewhere like the Arcola. Big cast plays don’t often surface so it’s a coup for the ever enterprising Mehmet Ergen to not only do one of the most famous Shakespeare History plays but secure Greg Hicks in the leading role. Hicks’ RSC Coriolanus was one of the best I’ve ever seen. So it’s a mystery as to why they never secured him for Richard III. But Stratford’s loss is Dalston’s gain. 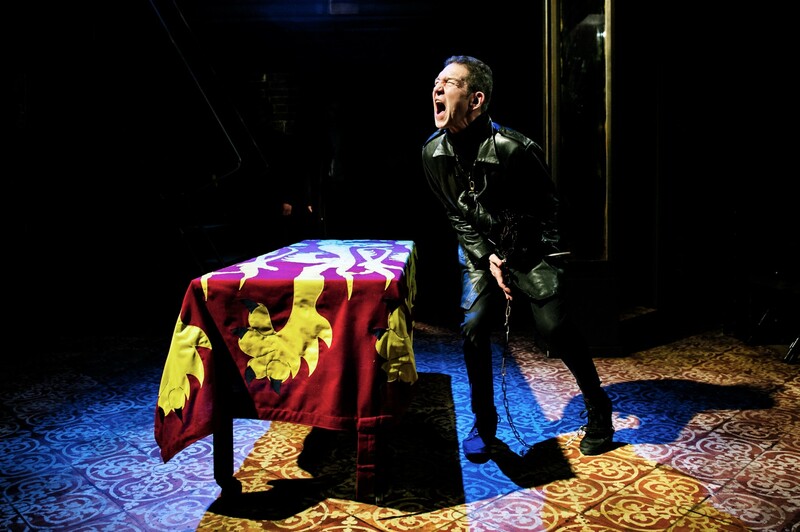 And apart from one or two longueurs – very difficult on limited resources to give a full flavour of the historical back-story which in the past couple of decades we’ve grown accustomed to having filled out for us by the RSC – at least the text and verse are spoken with commendable clarity. Indeed in some cases – Paul Kemp’s Clarence’s dream speech in prison, for example – Ergen’s production finds a clarity and depth seldom achieved by glossier names. Ergen sensibly dives away from trying to emulate RSC neo-realism although inevitably, being so rooted in the history of the Wars of the Roses, some is unavoidable. I saw some of the young looking absolutely bored rigid despite the production’s fleet-of-foot dynamism and ingenuity. 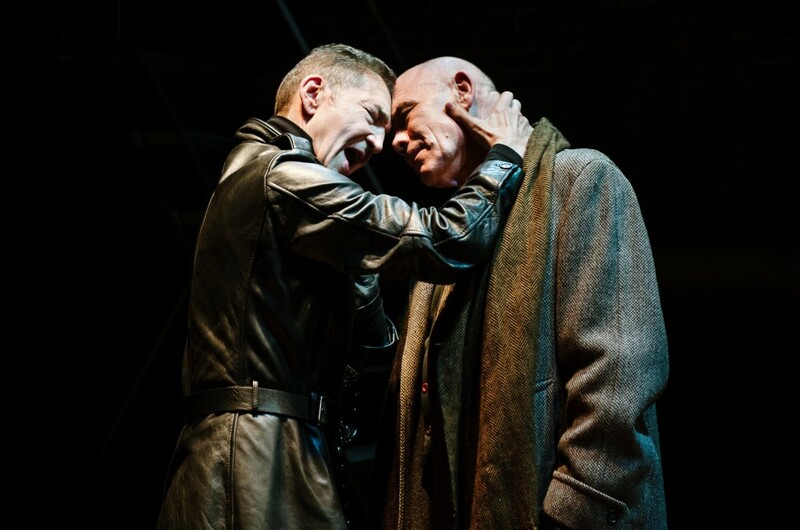 Hicks’s charismatic, leather clad brutal opportunist is wholly mesmerising whenever on stage and without needing to provide any replica of tone or gesture, makes one constantly realise his parallels in terms of personality and warped logic with another over the waters in the USA. Time and again, Shakespeare’s own words uncannily capture Trump’s disposition as Richard smiles, seduces and casts first one away then another to achieve his ends. I loved too the modernity of Georgina Rich’s Lady Anne – again without needing to over-emphasise – and the bonhomie of Mark Jax’s Hastings. Both these rang contemporary bells whilst Ergen’s ingenious Bosworth battle scene and the ghosts appearing to Richard are carried out simply but to terrific effect. As the former Queens Margaret, Elizabeth and Richard’s mother, the Duchess of York, coming together to finally curse Richard, Jane Bertish, Sara Powell and Annie Firbank are a convincing trio of sorrowing, horrified women abused by Richard and giving us another fascinating insight into the make-up of a psychological misfit. Congratulations then to Mehmet Ergen, Greg Hicks and all the crew for a Richard that speaks so much of today’s political fixers and their naked ambition. Spare a thought for the real Richard Crookback, far less the tyrant than Shakespeare’s Tudor propaganda portrait paints him. But as a study in paranoia and retribution, it remains the template off which House of Cards’ author Michael Dobbs and the rest still largely feed. First perf of this production of Richard III at the Arcola Theatre, London, May 11, 2017. To June 10, 2017. 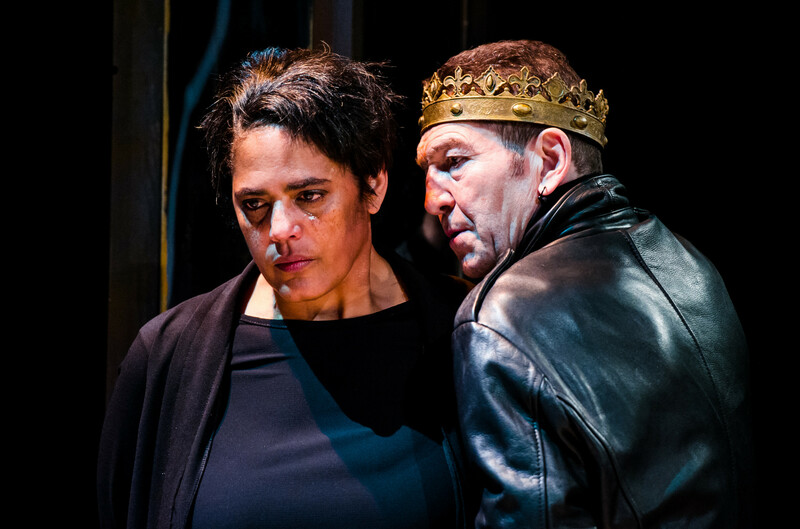 This entry was posted in 2017, Reviews and tagged ambition and psychological misfits, Anthony Lamble, Arcola Theatre, Greg Hicks, history play, Mehmet Ergen, Wars of the Roses, William Shakespeare on May 22, 2017 by Carole Woddis.